﻿ Cape Panwa Hotel, Phuket | FROM $120 - SAVE ON AGODA! "Really relaxing, good food, mostly quiet, great location!" Have a question for Cape Panwa Hotel? "Beautiful hotel and beach front." "the beach & the hotel are captivating." "This place was absolutely beautiful, wonderful and heavenly." 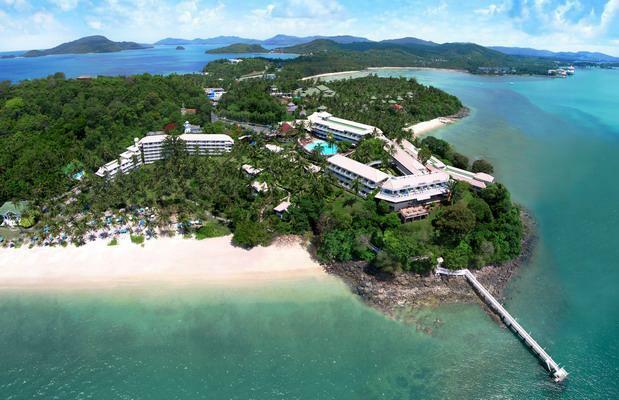 When visiting Phuket and surrounding areas, you'll enjoy your stay at the pampering and relaxing the Cape Panwa Hotel. Rated 5 stars, this hotel is great for experiencing the utmost comfort and luxury. It features a kids swimming pool, which will keep your little ones happy and active during your visit. Also equipped with family rooms and a playground, it is excellent for a family getaway with the kids. From dry cleaning services to daily housekeeping, it has a number of convenient and useful services to help you get the most out of your time in Panwa Cape. The Cape Panwa Hotel has ocean, pool, garden, and partial sea views to offer guests, so you are bound to be peeking out at amazing scenery. It is close to Panwa Cape, Makham Bay, Ao Yon Beach, Ton Aow Yon Waterfall, and Khao-Khad View Tower. The Cape Panwa Hotel offers a range of facilities for guests to make use of throughout their stay, such as a private beach and a tennis court. The hotel has various convenient features, such as safety deposit boxes, a currency exchange, an infirmary, and a salon. It has free Wi-Fi in all rooms, as well as Wi-Fi in common areas, so you can save money by not overspending on foreign data charges. All of the rooms come with air conditioning, satellite or cable channels, an alarm clock, and free bottled water, as well as a seating area, a shower, bathrobes, a hair dryer, and more. Hotel staff speaks English, German, Spanish, French, Italian, and other languages. The Cape Panwa Hotel is pet-friendly, so you won't need to worry about finding a pet sitter while you're out of town. This hotel has facilities for disabled guests, provides access to an elevator, and is wheelchair friendly. It offers access to canoeing, so you can go for a beautiful ride and see the stunning landscape. With guided tours available, it is a great place to stay to learn about the area and see everything you can while you're here. It is located at a great spot for snorkeling, so you can swim with beautiful marine life and enjoy the underwater scenery. The Cape Panwa Hotel has a range of transport options that include airport transfers, shuttle services, car rentals, and taxi services. Phuket Bus Terminal 2 is 12.3 km away. The nearest airports are Phuket International Airport (HKT) and Krabi International Airport (KBV), which are located 35.1 km and 70.4 km away. "The food is very good here, The staff are friendly and can u..."
We were pleased to be told we received an upgrade - the room was definitely larger but there was no jacuzzi as stated for the cape suite. Nevertheless, a lovely room with balcony and sea view. Positives - incredible sunrise views from the pool and beach, friendly staff, shuttle bus into town (essential given the extremely steep hill!). Negatives - hardly any chance of getting a lounger as they're always reserved, lots of ants (i get this can be hard to manage in the heat but when in salt/pepper pots this is a hygiene issue), on a couple of days we had to wait for a table at breakfast as there were more people than space available, which is not what would be expected from a hotel of this standard, musical entertainment in the evening was dire! Thank you for your very fair review and for your generous evaluation of your visit to Cape Panwa Hotel, Phuket. We are pleased that you enjoyed the New Year’s Eve Festivities which our staff worked so hard to organise. Our beautiful, natural beach surrounded by coconut groves is indeed very popular but I am glad that you were comfortable in your suite and that overall your impression was positive. We hope to see you return in the future. Yours sincerely, The Management of the Cape Panwa Hotel, Phuket Cape and Kantary Hotels supports SOS Children’s Villages and the TSPCA. We do not serve foie gras, birds’ nest or shark’s fin and we stand firmly against the exploitation of Thai elephants for commerce or entertainment. Friendly staff and great hotel, but still need improvement. This is our anniversary trip, therefore I have requested for bed/room décor. As confirmed by Ellen that there will be complimentary décor, was expecting it upon arrival but ... disappointed. There are no décor in the room and reminder card for spa appointment and dinner booking was brought to me on 23rd which is already my 2nd day stay. All my appointment are in 1st day. Breakfast menu should be different daily. Really nice if you're looking for a slightly secluded place within Cape Panwa. Shuttle buses are very convenient. Beach is very rocky though. Swimming pool has a nice deep end! Great food as well, at better than most 5 star hotel prices. The room was exceptionally spacious and is surrounded by lots of greenery . The hotel had a private beach with lazy chairs where one can laze around. There is also a room with board games and a ping pong table. It is located fairly far away from the the main town but it is definitely a nice hotel for those who prefer to stay in the hotel and utilise the various facilities available. The stay at Cape Panwa Hotel was awesome. 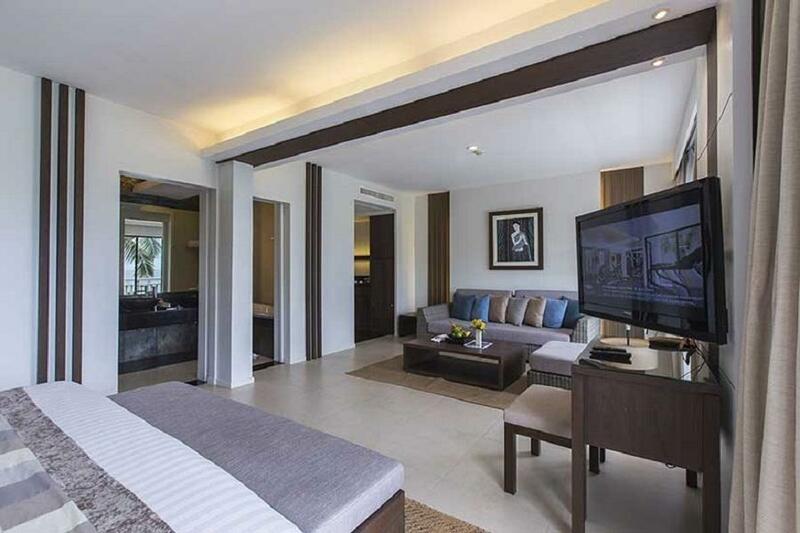 Huge room even for a junior suite, pleasant surroundings and environment, private beach. It would be great if there's room wifi for the junior suite though. Nonetheless wifi in public areas are strong. The hotel room is clean and the staff always replenishes the necessities. The TV is mounted such that it can be rotated to face either the sofa or the bed which are at 90 degrees angle to each other. The bed was the size of 2 super single beds. Because we had other plans we didn't manage to get the free boat ride out to coral island and didn't manage to utilize the free complimentary drinks. Cape Panwa Hotel has a sister hotel nearby (about 15mins walk) and they provide free shuttle services to and fro the Kantary Hotel every 20mins. There is a night market, several delicious restaurants and a convenience store at the exterior of Kantary Hotel. The staff at Kantary seem to be more friendly and helpful even though they know that we're not from Kantary. Overall, Cape Panwa is a good hotel to relax and chill. Private beach was beautiful. They even provided a tram (5mins ride) from the hotel lobby to the beach. We stayed in the junior suit so our room was pretty spacious, however, it's quite a walk from the pool. The nicest thing about this hotel is that they have private beach that you can take the hotel tram right down to the beach. Staff was attentive with excellent service mind. For the price we paid, we think it's good value given that they have private beach. We noticed that most hotel guests are in their retirement age though (we were a group of friends in our 30s). One comment to the hotel is that they should provide free internet in the room as well for this price range of the hotel. Yes, it's great they gave us free passwords for wifi access in public area and the internet speed was fast. I don't understand why they have to charge extra 250B to be able to use internet in room. But everything else was great about the hotel. We had a very pleasant stay at the hotel. We spent most of our time on the private beach. The hotel is very nice that you could spend the whole day there. The location is a bit far off car is recommended. We will come back to this hotel! My stay at the hotel was fabulous. We had a balcony view of the cape panwa beach and in the mornings we caught glimpses of the beautiful sunset. I recommend for families, couples and singles. Its the sort of place that has something for everyone. Easy to access the local town for restaurants and spas. Very nice staff especially I was injured by car accident before I went there. there is a nurse at hotel for take care my wound. A good and very beautiful beach and atmosphere esp for honeymoon, near cape panwa and view point. I like panwa house, it is a Thai restaurant that is situated on beach in colonial house style. I like the quite and relaxed environment. But this hotel's service setup is problematic and inconvenient for guests: 1) it is far away from everything else in town and the hotel does not offer free shuttle service nor airport pick up; 2) internet access is only available in public areas which are open place with a lot of bugs, unbearably hot and unsuitable for doing any work. Should offer free wifi in all rooms. 3) should offer a better map about services in and around hotel. I would come back if it offers free shuttle and internet access in the room. Visited Phuket many times before, but was unreally surprised by this hotel! 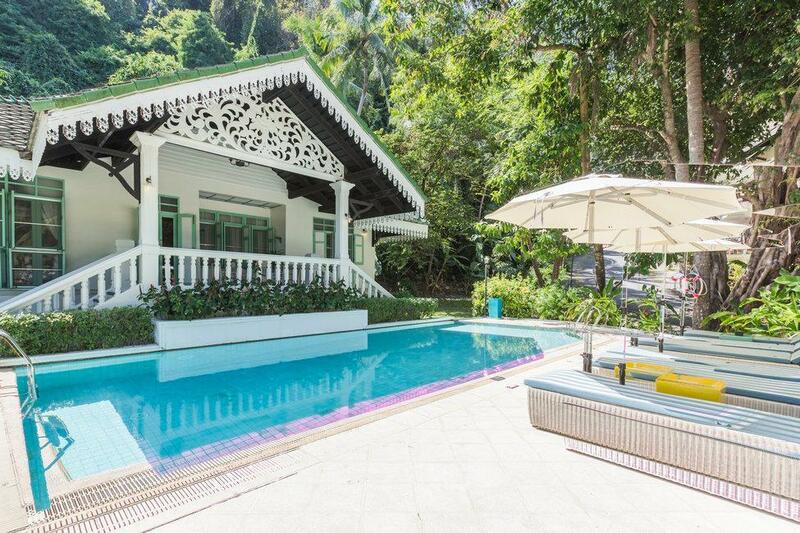 Great location - far from popular and crowded areas of Phuket (taxi from airport will take from you more than 1 hour and about 30 USD), very-very quite and luxury staying! You can use a free shuttle bus to a neighbor market and Phuket aquarium. Huge territory of this hotel has about 20 wings. Some of them with a great sea views and most of them with jacuzzi bath on the balconies. Funny tram connects lobby with a beach (actually its only 10 min to walk on the beach). Beach is huge to, so sunbeds are located not too close to each other and you can enjoy your privacy even here (it was a high season and hotel was fullt booked but we always stayed in 20-30 metres from other guests on the beach!!!) Sea is not too clean (like in Samet island or Phi-Phi for example) but ok for swimming. Hotel staff cleaned the beach non-stop from the morning till night Room was perfect. Big size, new furniture, bath tube and modern shower cabin Restaurants ! Its perfect! Like a haute cuisine ones! We had dinners in Thai beach front restaurant (in the colonnel building) and in Top of the reef (French) restaurant. Both of them are really nice!! And very very reasonable prices (dinner for 2 persons with vine is about 60-70 USD) We had a late check-out (around 6 PM), and moved to free lounge after midday (hotel was fully booked). Lounge is small (connected with gym) but there is everything you need for waiting (free coffee/tea, refreshments, shower rooms and lockers). This opulent 5 star hotel, is in secluded cape near the cape panwa.The hotel also provides scheduled complimentary shuttle to several locations daily making it easy to get around. l. The food at the hotel is moderate and no change in menu during my 4 night stays. The hotel is the ideal venue for guests who want glamorous surroundings, a peaceful ambiance, and a prime location. the view and service is very good! 1. Room is very good, clean, tidy and modern 2. relaxing atmosphere 3. the only drawbacks was that our room was just too close to the outdoor concert during the time we stayed. so it was a bit noisy but we just decided to go out at night and when we came back at 2am they all finished. then we crashed in the bed for another day and never wanna leave the hotel 4. location is a bit far from city if you want those facilities and will need to rent a car. unless you want to relax in the hotels which has everything you ever want. had a good time but i felt for our age group (partner and i) the hotel was a bit on the quiet side. the private beach was fantastic, very clean white sands and clear blue water. the beach also had a very nice resturant which served up amazing food. i did however request a high floor but did not expect to have to walk such a distance and up a flight of stairs, being young it wasnt too much of a problem but im sure a hassle for some. all staff were friendly, having to pay for internet in a 5 star hotel was a bit of a bummer but oh well. i would not stay here again but not due to the hotel being of sub standard, more the fact its not as location friendly to my needs ie loads of resturants and nightlife etc. this resort is really really perfect for honey mooner. locates at the quiet corner of phuket. room was spacious with good facilities. hotel facilities were awesome. seawater at the private beach was crystal clear. the breakfast was also excellent. i will definitely go there again if there is chance. I stayed 4 days in Cape Panwa hotel to rest next to the beach. I found the hotel very nice with a very good and attentive service. Beach is wide enough for all the tourists but found the sea not so clean :( There are two pools, a fitness room, several restaurants. Breakfast is a must have! Ialso had the massage at the beach which was good value for money. Only thing is that there is quite nothing close to the hotel, not even some shops, it's a pity. But for resting I would definitely recommend it! Tis was the 5th time we have stayed here and it didnt dissapoint.We like the staff breakfast is wonderfull with so much choice.Rooms big and airy we had a junior suite block T.We will be returning next year.